The incorporated village of Kings Point, located in Nassau County, New York, has recently initiated a video surveillance program that reeks of “Big Brother”. Video cameras are being installed at all entrances into the village so that every automobile’s license plate is recorded. The license plate information will then be sent electronically to databases to determine if the car or driver is wanted by any state or federal agency. If the car or driver is wanted the police will be immediately dispatched to stop the vehicle and presumably make an arrest. While proponents of this type of invasive electronic monitoring argue that if you have not broken the law you have nothing to worry about, one has to question the civil liberties implications. The government will be keeping an electronic log of when and where you have been, that is scary. That is right out of George Orwell’s book 1984. What is even more disturbing is that Kings Point is only 3.3 square miles and has its own police department. Does the village really need this system? Are the police incapable of competently patrolling this minute area or does Kings Park just have too much money? Many of us are already familiar with the “Red Light Cameras” that have been popping up all over Long Island. These cameras take video of automobiles that pass through red lights. The owner of the vehicle is then sent a ticket with a web link to watch the video online of the vehicle as it passes through the red light. The fine is $50.00 with a $10.00 surcharge. What impact these cameras have on driver safety is debatable since slamming on one's brakes to avoid a ticket can cause an accident just as easily as running a red light. 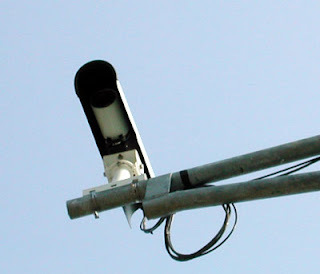 What is not debatable is that these cameras are generating millions of dollars for the county. So is it the safety factor or revenue raising that has motivated the installation of these metal eye sores? I suggest that it is revenue raising. Facial recognition software is currently utilized at sporting events and other large gatherings to filter through crowds and find wanted individuals. If other communities follow Kings Point lead you may soon have you're every movement video taped once you step outside your door. I do not believe that government should be video monitoring lawful citizens in public even if it doesn’t violate the law. The next time that you pull up to a traffic light and see a video cameral just remember your being watched and it is being recorded. At the Law Office of David Galison, P.C., we strive to ensure that your rights are protected. If you are charged with the possession or sale of any drug, or are charged with any alcohol related driving offense in Nassau, Suffolk or Queens County, contact the Law Office of David Galison, P.C. at 516-242-4477 to schedule a FREE CONSULTATION to discuss your case. Visit our website at: David Galison, P.C. I have attached a link that every person that lives in Nassau County should read. It concerns Nassau County Police Department Officer Lynch, and an internal investigation regarding his practices when it comes to stopping and arresting individuals suspected of DWI. Actually, if you read the report you will find that there usually was not probable cause to stop the motorists in the first instance, and that the allegations against the Defendant's seem to have been manufactured to justify an unlawful investigation. This report should be seen by every juror and tax-payer in Nassau County and throughout the state of New York. It confirms what defense attorney's have been saying for years, that police officers should be given no more credibility then an average citizen when it comes to testimony in a trial. Police officers can and do lie in order to obtain convictions. It is very easy for a Police officer with years of experience and on the job training to exaggerate and even manufacture allegations in order to secure a conviction. Think about it, if I wanted to convince a jury that you were intoxicated what would I say, what do the police say. They are trained to say and do say, "When I pulled over the motorist I observed the following"
A strong odor of an alcoholic beverage coming from the defendant's breath. The defendant was unsteady on his/her feet. Fumbled with his/her driver's license, or gave the wrong documents. Failed all Standardized Field Sobriety Tests. Mind you, not every motorist alleged to have committed the offense of DWI displays every sign of intoxication. However, if you sit on a jury in Nassau or Suffolk County in all likelihood you will hear all the items listed above and more. But when you do keep in mind that Police can lie and exaggerate just like any other witness. If you ever sit on a Jury and feel that the officer is exaggerating/lying you should vote to dismiss. A conviction should never stand on the shoulders of perjured testimony no matter how slight. As for Officer Lynch, he is still working as a police officer in Nassau County, and both you and I are paying his salary and benefits. At the Law Office of David Galison, P.C., we strive to ensure that your rights are protected. If you are charged with a DWI, a Drug Charge or even a Traffic Ticket give us a call. Call 516-242-4477 to schedule a FREE CONSULTATION to discuss your case. Visit our website at WWW.GALISONLAW.COM for further information. Over the past several months I have received numerous phone calls regarding the Nassau County Crime Lab closure and it’s impact upon those who are currently fighting their DWI cases and those who are looking to re-open their cases. It has been my position that every effort should be made to challenge the results of all the breath testing equipment utilized by the police as the results are highly questionable in light of the disclosures concerning the now closed crime lab. 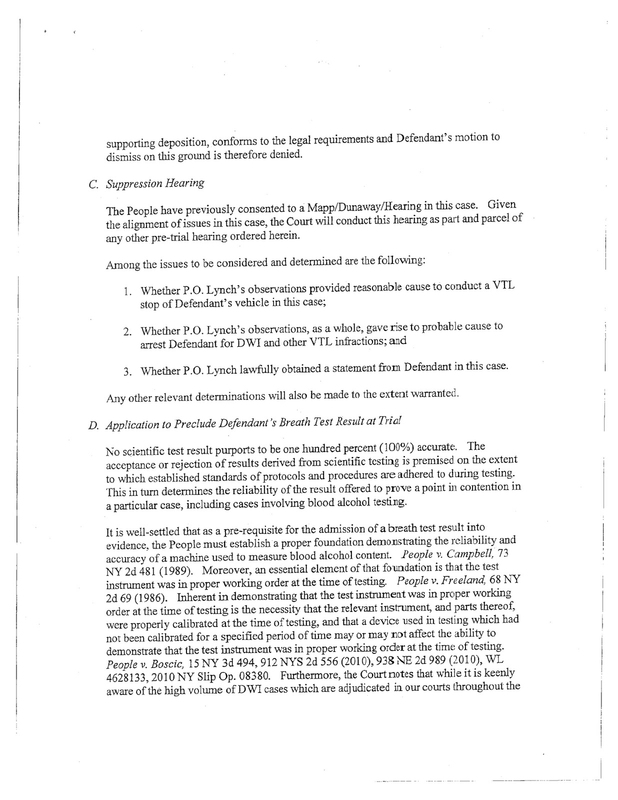 How will the Nassau County Judiciary rule on cases in which the breath testing results are called into question. The answer at this time is unknown, however, there is a light at the end of the tunnel. Judge Sharon M.J. Gianelli* will be conducting hearings in the Nassau County District Court in the coming weeks dealing with the issues raised by the crime labs closure. The results of Judge Gianelli’s ruling will undoubtedly have a major impact upon how DWI cases are litigated in Nassau County and could open the floodgates to motions to set aside verdicts. Judge Gianelli is one of the most respected Judges in the Courthouse by both defense counsel and the prosecution. 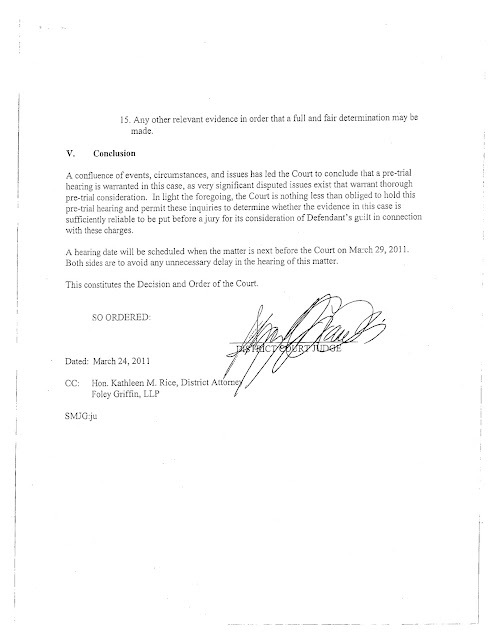 I have attached a copy of Judge Gianelli’s decision below but have redacted the name of the Defendant because I do not believe it is proper to publish it. *Judge Gianelli received her JD from Brooklyn Law School and was admitted to the Bar in 1989. 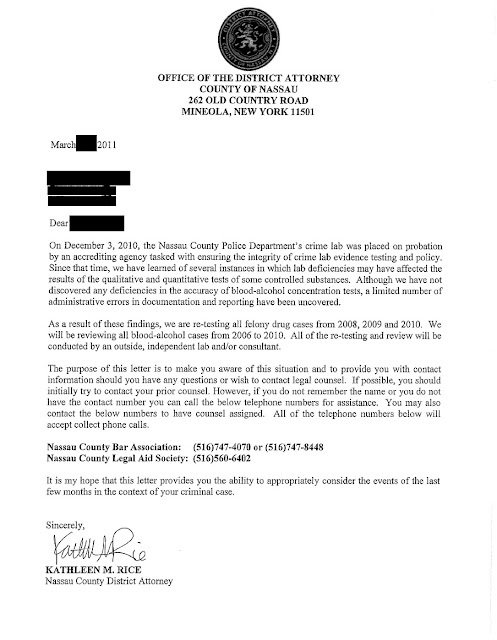 The Nassau County District Attorney Kathleen Rice has recently issued a letter to almost three hundred inmates informing them that the Nassau County Crime Lab may have made mistakes in connection with drug and alcohol charges they face. (See the letter below) The crime lab was ordered closed by County Executive Edward Mangano and is currently under investigation. The letter issued by Rice makes no mention of the fact that the lab has been shut down or that there is a possibility of criminal charges being filed against lab employees. Furthermore, the letter denies known deficiencies in blood alcohol testing, but admits that administrative errors in documentation and reporting have been uncovered. 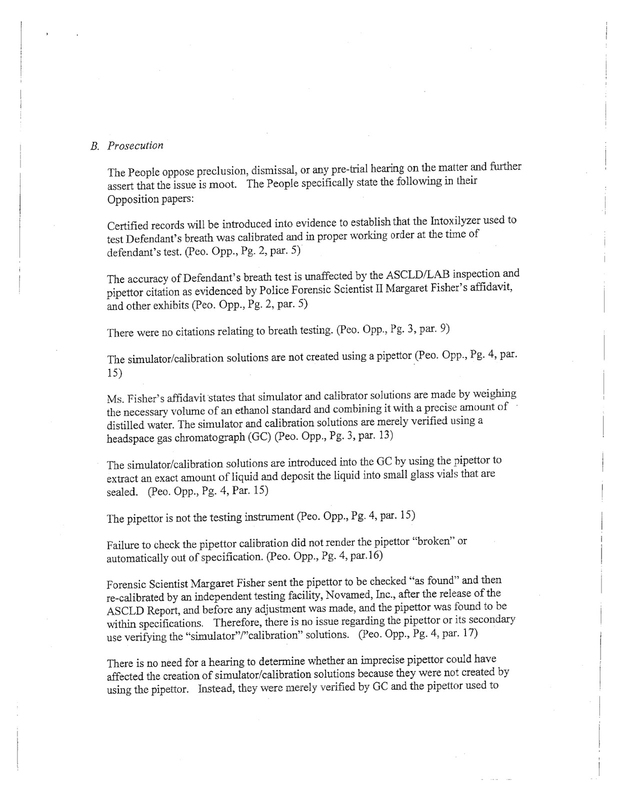 To this end, Margaret Fisher, a scientist at the lab has admitted to at least 9 known errors. The State Inspector General has recently issued subpoenas to County Executive Edward Mangano and former County Executive Thomas Suozzi in connection with the continuing investigation in which over 100 subpoenas have issued already. For the time being the lab is closed and the door is locked with a key that is only held by the State Inspector General's Office and the head of Police Internal Affairs. In addition a video camera is mounted outside the lab to monitor the door just in case anyone should try to break in. Just what impact the errors and deficiencies in testing and documenting will have on drug and driving while intoxicated (DWI) cases is as of yet unknown. However one thing is certain, the credibility of every test done by the Nassau County Crime Lab is questionable at best. 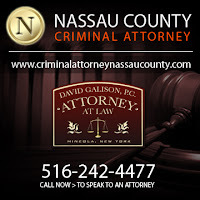 http://www.criminalattorneynassaucounty.com This latest website is one of several informational sites which are part of the Galison Law Legal Web Network. David Galison, Managing Partner of the Law Office of David Galison, P.C. says that the new site was designed in an effort to answer the most common questions that someone facing criminal charges in New York State could have. It also answers many questions for clients who are hesitant to call a criminal defense attorney to ask relevant questions which may impact their existing legal situation. There are very few experiences in life that are more dreaded or feared then being pulled over by a police officer. With the ever increasing costs of auto insurance and the state fines and surcharges associated with moving violations a motorist’s anxiety level can go through the roof. If you have consumed any alcohol prior to the stop multiply this anxiety by ten. 1. The Stop. A motorist is under no obligation to answer any questions for a police officer. If you are pulled over by an officer the only information that you are required to provide is your license, registration and insurance. • Place your car in park and turn on your interior lights. • Have your license, registration and insurance in hand before the officer arrives at your window. • Keep your seatbelt on during the stop so that you do not get ticketed for failure to wear it. Often times an officer will not believe that you took off the seatbelt to reach your documentation, so keep it on. • Be polite, but do not volunteer information. If you are asked, “Do you know why I stopped you?” answer no. The police write down your answers to be used against you. • Keep your hands where the officer can see them at all times. • Never argue or raise your voice to the officer. • If you receive a ticket accept it graciously and consult with an attorney. 2. Roadside Tests. A motorist is under no obligation to perform any roadside field sobriety tests. If you are asked to exit the vehicle, there is an extremely high likelihood that the officer has already determined to arrest you for DWI. On the side of the road there is no fair judge of your performance and there is no video of how you perform. The only judge of your performance is a police officer who often times is going to make overtime based upon your arrest. Performing field sobriety tests under less then ideal conditions can affect the validity of the tests. Consider the following before you agree to do any DWI field sobriety testing. • Are you overweight by more then fifty pounds? • Do you have any medical conditions that can affect your balance? • Are you wearing appropriate footwear? • Is the location of the testing appropriate for the testing? o Is it well lit? o Are there distractions close by like passing cars, or pedestrians? You have the right to refuse standardized field sobriety tests. If any of the above conditions are present it can have a major impact on the results of the testing which will then be used against you in court. Keep in mind that at this point in the stop you are likely to be arrested. The question is whether performing standard filed sobriety test in the field (on the road) will help exonerate you, often times they will not no matter how well you really perform. People fail sobriety tests when they are sober. Sobriety tests are subjective tests unless they are recorded with audio and video so that they can be judged fairly by others. With all the factors that can affect DWI sobriety tests on the roadside it is often better to refuse all testing. 3. Breath Testing. Every motorist who is arrested and charged with a DWI in New York, is required to submit to a chemical test of their blood, breath or urine to determine their alleged blood alcohol concentration or BAC. Though a person has the right to refuse this testing (and often times should), a knowing refusal will result in the revocation of their driver’s license for a one year period if proper refusal warnings are given by the officer. The question then becomes do you give a breath sample. • The Nassau County Crime Lab was closed in early 2011 because of departures from the minimum standards of care necessary to run a police crime lab. The crime lab was responsible for mixing the simulator solutions that the breath testing equipment in Nassau County utilizes. 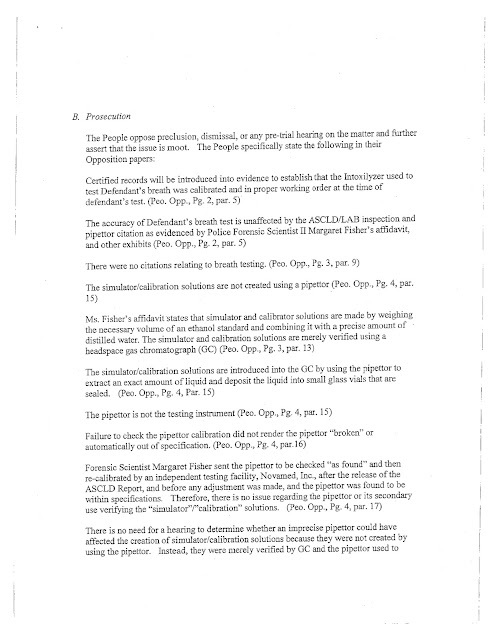 • Kathleen Rice, the Nassau County District Attorney pointed out at a morning news conference that she asked county executive Mangano to shut the lab down "because supervisory activity and potentially intentional personnel conduct relate not only to the drug chemistry testing performed at the lab but to the entirety of the lab." • In Nassau County it is police policy that no video will be made of your performance tests (Standardized Field Sobriety Tests) if you take a breath test. In other words if you want to have a video made of your testing so that your performance can be judged by a neutral person (a jury) rather then a police officer you must refuse a breath test. Essentially, if you want a video made to show your innocence you must give up your driver’s license!! That is ridiculous and unfair. • Breath testing equipment is not perfect and it can make mistakes. o If a person has a fever it can throw of the machine. o If a person burps, regurgitates or has acid reflux it can throw off the machine. o If a person has dentures it can throw of the machine. o If a person blows for too long it can throw off the machine. o If the mouth piece is not changed it can throw off the machine. o If the chamber is not properly purged it can throw off the machine. o If the persons blood to breath partition ratio deviates from the median it can throw off the machine, not everyone is in the middle of a bell curve. o There police do not wait 10 - 15 minutes and then perform a second test to confirm the results of the first test. Unfortunately if you believe the machine has made a mistake and request a second test you will be denied. Juries often are kept in the dark about just how many things can go wrong with a breath testing machine despite the best efforts of the defense attorney. Deciding whether to take the breath test or not is a case specific decision, and often times the best decision is not to take the test, especially if you do not trust the police. 4. Standardized Field Sobriety Testing (SFST). In Nassau County, Suffolk County and Queens County the decision to take SFST back at the station is a hard one. Often times you are being pressured to take tests that are not properly explained under conditions that would make anyone uncomfortable. As mentioned above in Nassau County DWI testing is not video taped unless you are willing to give up your license for a year! However, if you want the best evidence of your testing preserved you must refuse the breath test or no audio/video will be made. SFST testing is not an exact science and the results reported can vary on the same subject depending on who gives the test. All of the issues that can impact the roadside SFST testing listed above are present but add to that the pressure and nervousness of having been placed in handcuffs and told you are under arrest for the first time in your life. Under those conditions only you can decide if taking the tests would be fair and accurate. I believe that for the average person it is better to refuse the test as they are typically administered in an unfair and coercive manner. 5. Call Your Attorney. Attorneys are available 24 hours a day 7 days a week to help you. Make sure that you have your attorneys name and phone number in your cell phone and in your wallet or purse. Do not speak or give a statement to the police without consulting with your attorney first. Be definitive. Say “I want to talk to my attorney now.” And do not volunteer any information just wait with your mouth closed. At the Law Office of David Galison, P.C., we strive to ensure that your rights are protected. If you are charged with any driving offense from a speed contest to a red light ticket to a DWI give us a call. Call 516-242-4477 to schedule a FREE CONSULTATION to discuss your case. Visit our website at for further informaiton: David Galison, P.C. It has recently been reported that the Nassau County Police Department will fund the retesting of close to 3,000 drug cases due to the improperly run crime lab. The cost is conservatively estimated to be between $400,000 and $500,000. It is unknown how much more it will cost to pay the lab workers who re-test the drugs to appear in court and give expert testimony on contested cases. With respect to DWI cases, it is anticipated that blood alcohol tests will also be resubmitted for testing in light of the recent acknowledgment that several blood alcohol results were mislabeled. There have been no arrests yet in connection with the crime lab fiasco, but an investigation is currently under way. 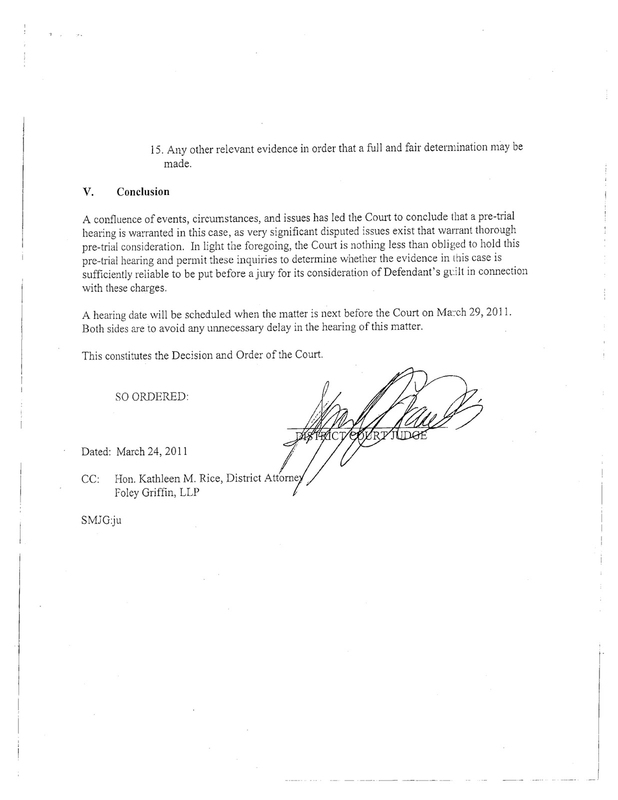 On Monday March 7th, 2011 the Honorable Judge George Peck handed down his eagerly awaited decision in connection with the Erin Marino case. Ms. Marino had been convicted of aggravated vehicular assault for allegedly running into a minivan while being intoxicated by alcohol. 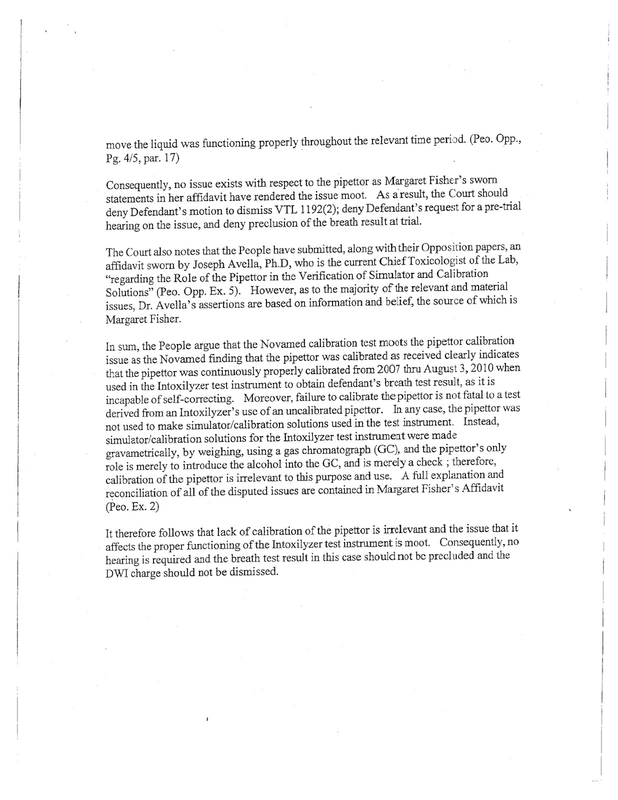 The judges decision to throw out the conviction was based upon newly discovered evidence which disclosed improper testing at the Nassau County Crime Lab and possibly a cover up. 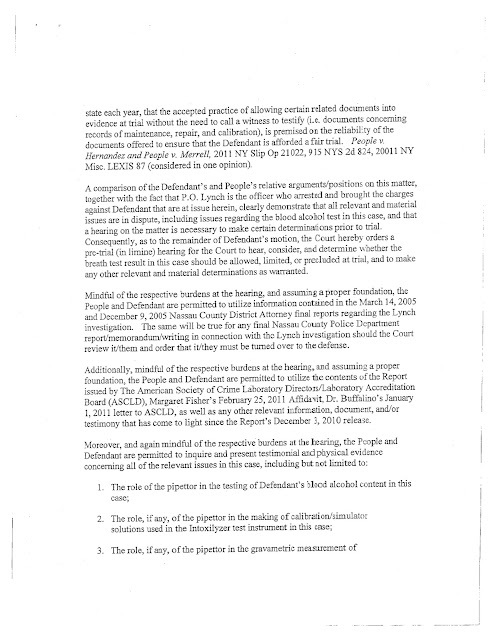 At the time of the conviction in August 2010 it was not know how poorly the Nassau County Crime Lab was being operated. But when the American Society of Crime Laboratory Directors placed the lab on probation, the Pandora’s box was opened and all the lab’s secrets came pouring out. · The Nassau County Crime Lab has since been ordered closed indefinitely by the county executive. · The Nassau County District Attorney Kathleen Rice petitioned the court to appoint a special prosecutor to investigate the lab but said petition was denied. 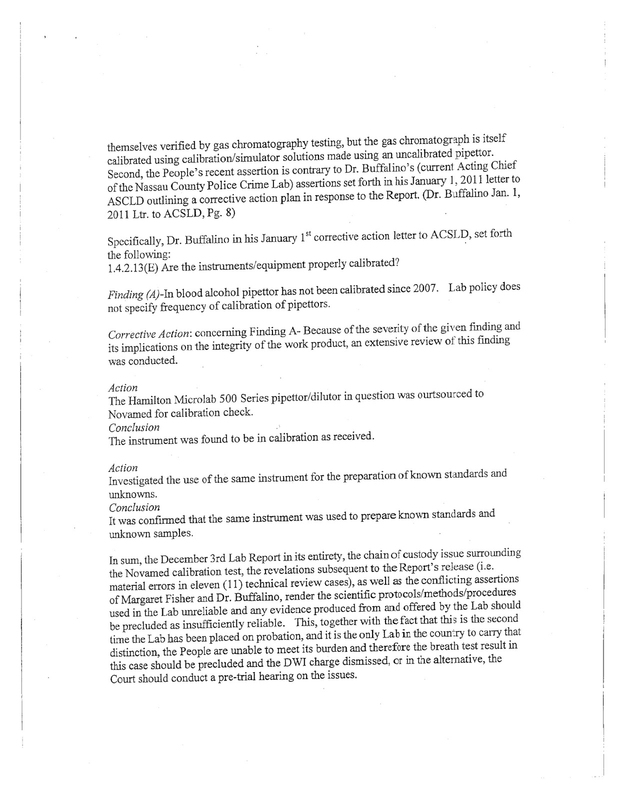 · The Governor, Andrew M. Cuomo then appointed State Inspector General Ellen Biben to investigate the lab. · Retesting of prior lab results have come back as inaccurate and wrong. 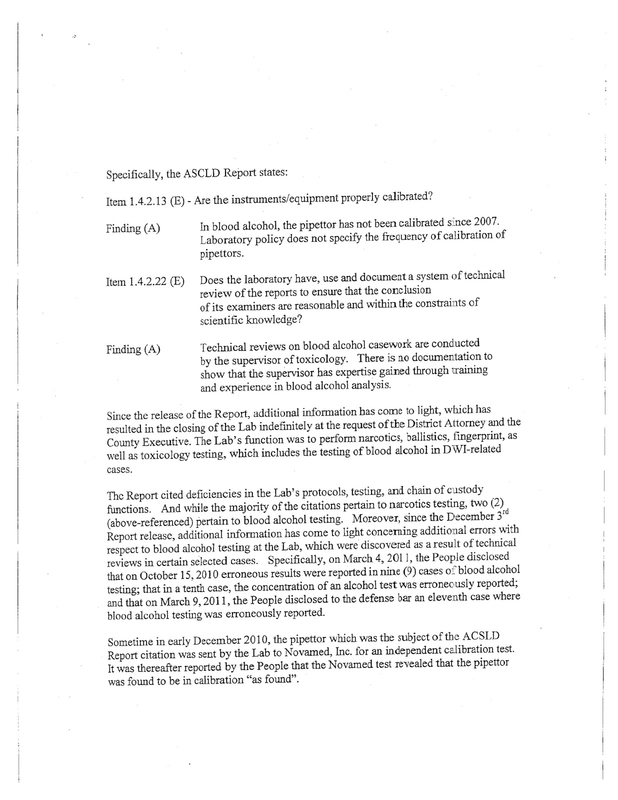 · Blood alcohol samples have been mislabeled in DWI prosecutions. Although the Nassau County District Attorney Kathleen Rice is known for being outspoken, she has remained silent in connection with the judges ruling. Perhaps even Ms. Rice can’t keep a straight face when arguing that the ruling is wrong, although it has been disclosed that the District Attorney’s Office plans on appealing Judge Peck’s decision. How an argument can be made that the ruling is wrong by the same office that sought the appointment of a special prosecutor to investigate a possible cover up and potential illegal activity is mindboggling. As for Judge Peck’s decision, I applaud it. 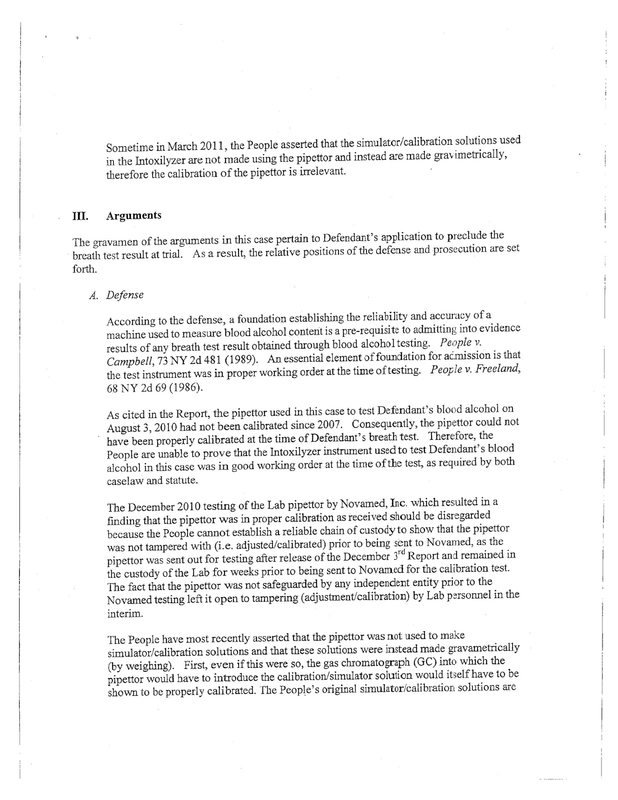 It’s encouraging to see that Judges in Nassau County will analyze the facts and apply the law. When a judge protects the rights of the accused he protects all citizens. It was John Adams who defended the British soldiers in the Boston Massacre trial. Mr. Adams stated: "Facts are stubborn things and whatever may be our inclinations, or the dictums of our passions, they cannot alter the state of facts and evidence." 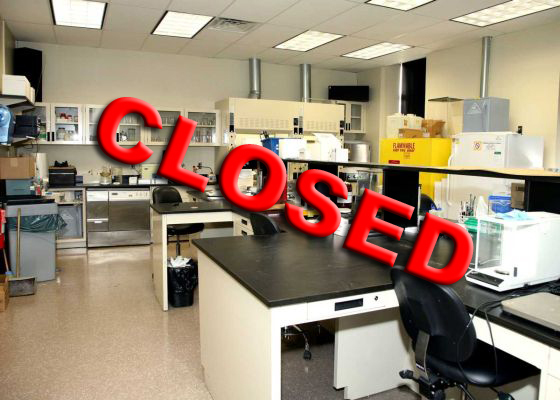 The evidence is irrefutable the lab is closed! Two motorists who were allegedly racing each other on the Long Island Expressway yesterday reached speeds of over 140 mph just before they crashed their vehicles in Suffolk County. One of the vehicles burst into flames upon impact when it a collided with a gas pump at a Gulf station in Islandia. Remarkably only one person was injured in the incident. In Nassau, Suffolk and Queens counties speed contests are prosecuted harshly. Often times as in the case above motorists engaging in speed contests are prosecuted under both the penal law and the vehicle and traffic law. In addition to fines, state surcharges, drivers responsibility assessment act liability, possible license suspension or revocation, and points on their DMV abstract the motorist are facing significant jail time. In addition the ability to drive in the future will be hampered by the cost of increased insurance premiums if an auto insurance carrier will even agree to insure them. 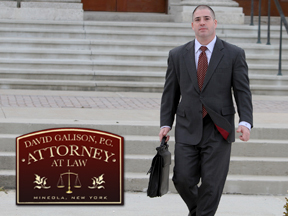 At the Law Office of David Galison, P.C., we strive to ensure that your rights are protected. If you are charged with the any driving offense from a speed contest to a red light ticket give us a call. Call 516-242-4477 to schedule a FREE CONSULTATION to discuss your case. Visit our website at for further informaiton: David Galison, P.C. Even though it has been only one week since the Nassau County Crime Lab was closed by Nassau County Executive Edward Mangano, the New York State Governor, Andrew M. Cuomo, has already appointed State Inspector General Ellen Biben to investigate the lab. Initially, Nassau County District Attorney Kathleen Rice tried to have Eric Dinallo, Esq., appointed special prosecutor to investigate the lab, but the proposed appointment was rejected by acting Supreme Court Justice William Donnino. Eric Dinallo is a partner in the Manhattan law firm of Debevoise & Plimpton, L.L.P., and was a Democratic runner last fall for Attorney General. Rice who had sought to appoint Dinallo, was disappointed earlier this week when Judge William Donnino, the supervising judge of the county court in Nassau, denied her request. Before deciding on the appointment, Judge Donnino pointed out that state law requires a special prosecutor to live in the county where he or she will serve or have an office in an adjoining county. Dinallo conveniently had obtained an office in Nassau County at RXR Plaza in Uniondale on Tuesday morning, the day before Rice requested that the Manhattan attorney be appointed special investigator of the crime lab. Clearly, the office was set-up for the sole purpose of attempting to comply with the state law cited by the Supreme Court justice. Judge Donnino pointed out that in open-ended cases such as this, where the investigation could lead to criminal arrests, it is the governor’s office that should appoint a special prosecutor or special investigator, thus superseding the district attorney’s choice. However, it is not surprising that District Attorney Rice attempted to take it upon herself to name the special investigator with all that is on the line. If the special investigator determines that any wrongdoings took place in the lab, it could lead to thousands of prosecutions handled under Rice’s administration being challenged and possibly overturned. Rice was quoted as saying, “We will continue to make sure this case receives the most fair and aggressive examination possible and this decision will not deter that effort.” She further stated, “We are moving quickly to ask the governor to appoint a special prosecutor so we can begin the process of restoring the faith that the public deserves to have in its criminal justice system.” At least implicitly in her statement, Rice acknowledges that the public has lost faith, to some extent, in the criminal justice system in Nassau County. How damaged the public’s faith in the criminal justice system is has yet to be determined, particularly in light of the police department lab being closed and its employees and supervisors currently under investigation. Following Judge Donnino’s rejection of Rice’s proposed appointment, Inspector General Ellen Biben was appointed by Governor Cuomo to investigate the Nassau County Crime Lab. Both the Nassau County Executive and the District Attorney’s office subsequently expressed approval of the governor’s “swift action” in the appointment. What choice did they really have, for Rice anything but approval would look like she was trying to hide something, especially after her own hand picked selection was denied. The Nassau Count Crime Lab will now be investigated for known and suspected mistakes in lab analysis of evidence in both drug and alcohol related cases. Just who knew what, and when they knew it, is going to be one of the focuses of the investigation. Hundred is not thousands of Driving While Intoxicated and drug convictions could be affected by the results of the investigation. · Named Inspector General on January 1, 2011 by Governor Guomo. · Served as Deputy Attorney General for Public Integrity. · Lead prosecutor against political consultant Hank Morris. · Served ten years as an Assistant Manhattan District Attorney. 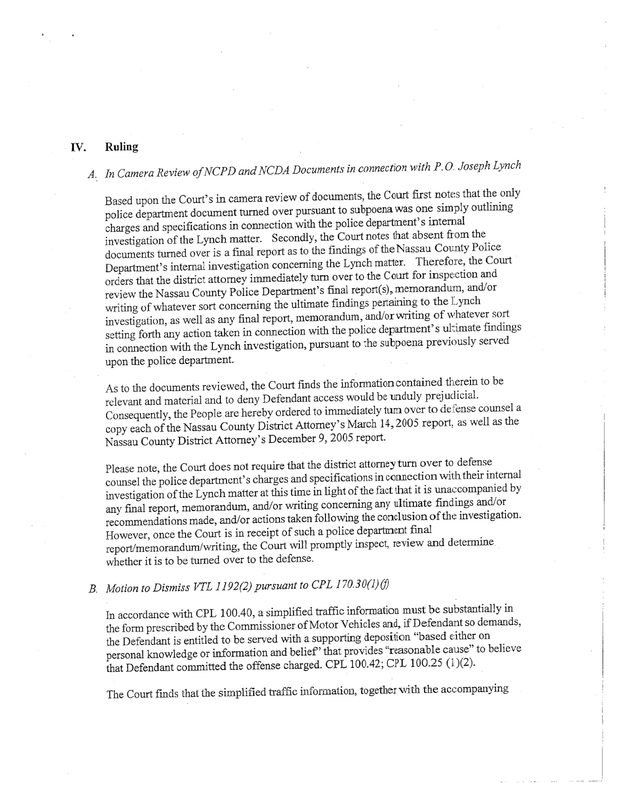 · Deputy Bureau Chief of the Rackets Bureau for five years while in the Manhattan District Attorney’s Office. It is uncertain at this point what will be discovered during the investigation. It will be interesting to see if criminal charges will be filed against any Nassau County police officers or supervisors in connection with the lab issues. The investigation should also reveal when the District Attorney’s Office learned about the problems at the lab and if they disclosed their knowledge in the appropriate amount of time. Photo credit: Newsday website, a file photo of the Nassau County Police crime lab in Mineola, edited. 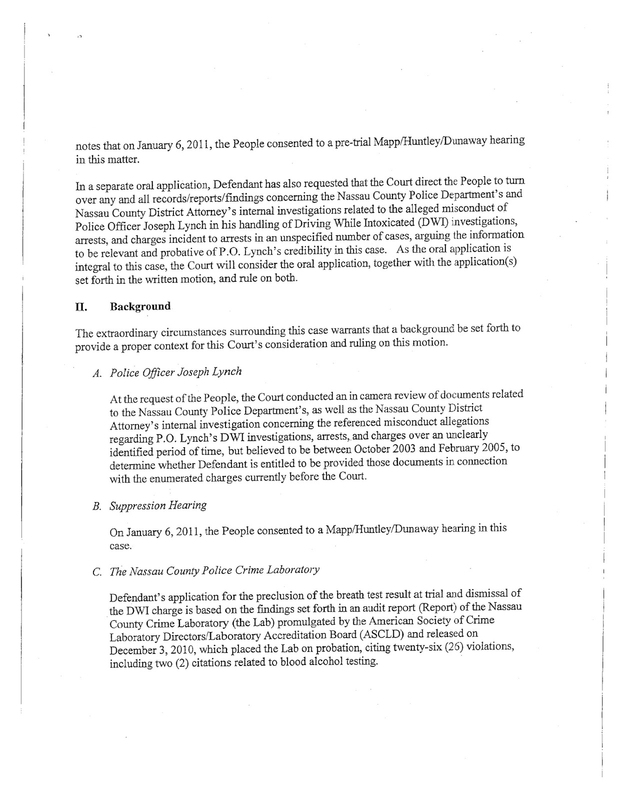 Prior to the closure of the Nassau County Crime Lab, the lab had the dubious distinction of being the only police lab in the country to have been placed on probation twice. 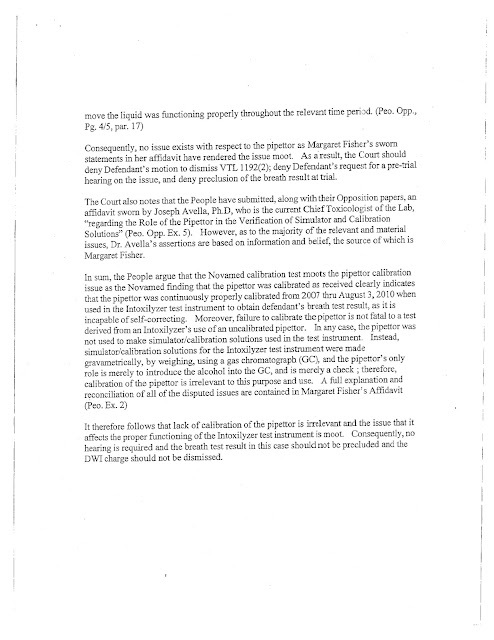 The American Society of Crime Laboratory Directors had placed the lab on probation back in 2005 and again most recently in December 2010. The recent probationary status was due to 15 serious violations that authorities found in the lab. 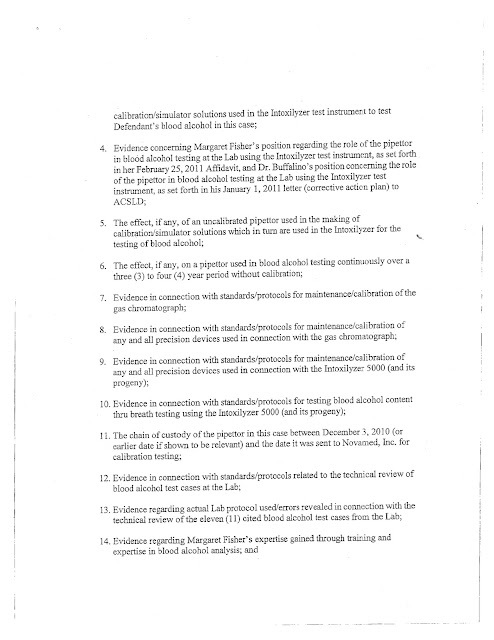 Among the violations listed were defects in the maintenance and calibration of the equipment that measures blood alcohol. As a result of the lab’s failure to properly perform drug testing, and maintain and calibrate the equipment used to measure blood alcohol, motions are currently being brought by Nassau County defense attorneys to set aside criminal convictions. Roughly 9,000 drug cases from between 2007 to 2009 are being called into question. The number of DWI cases that could be affected by recent revelations is unknown at this time but clearly it is significant. 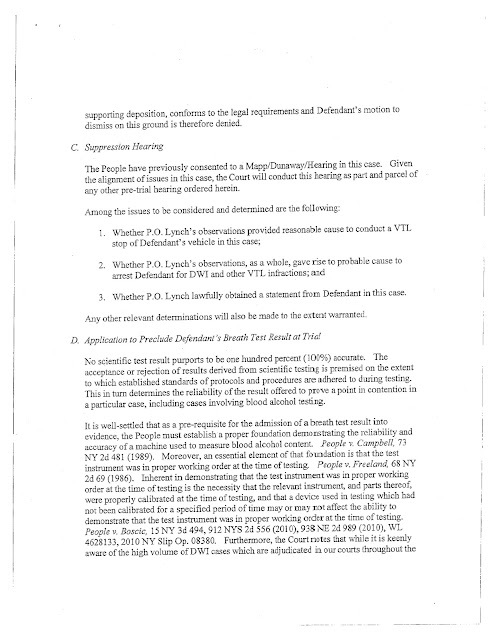 Driving While Intoxicated (DWI) cases where breath readings were taken using machines maintained by the Nassau County Police Department are particularly troubling since it has been revealed that the calibration devices in the police lab were not checked yearly as is required by national standards. The lab’s failure to adhere to national standards makes prosecuting these cases questionable, difficult and perhaps unjust. 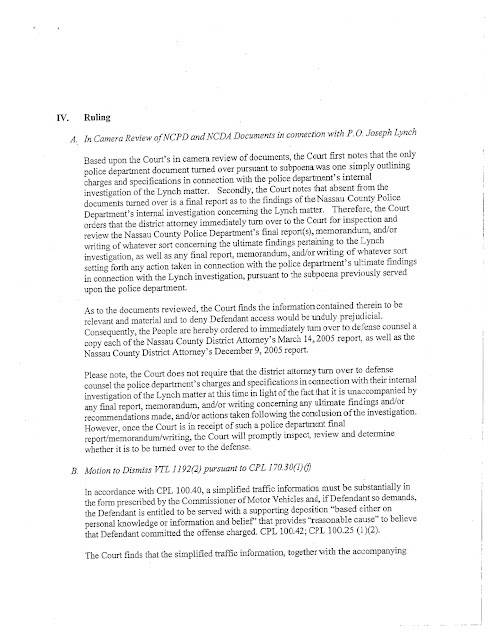 What is even more troubling for the Nassau County Police Department and District Attorney’s Office is that on Thursday, February 17, 2011, Detective Lieutenant James Granelle, former Nassau County Crime Lab Director, admitted while testifying before the Honorable George Peck that he had informed his commanding officer(s) about the problems at the lab as early as 2006. Meg Reiss, Kathleen Rice’s chief of staff, indicated recently that U.S. Attorney Loretta Lynch, who heads the Eastern District of New York, will be keeping in touch with Rice and may step in if it becomes necessary. The Nassau County Police Department and District Attorney’s Office are each conducting their own investigations into the issues with the police lab, however many defense attorneys say this is not enough and that a special investigator should be appointed. At the Law Office of David Galison, P.C., we strive to ensure that your rights are protected. 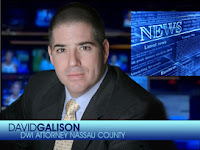 If you are charged with the possession or sale of any drug or alcohol related driving offense in Nassau, Suffolk or Queens County, contact the Law Office of David Galison, P.C. at 516-242-4477 to schedule a FREE CONSULTATION to discuss your case. Visit our website at: David Galison, P.C. 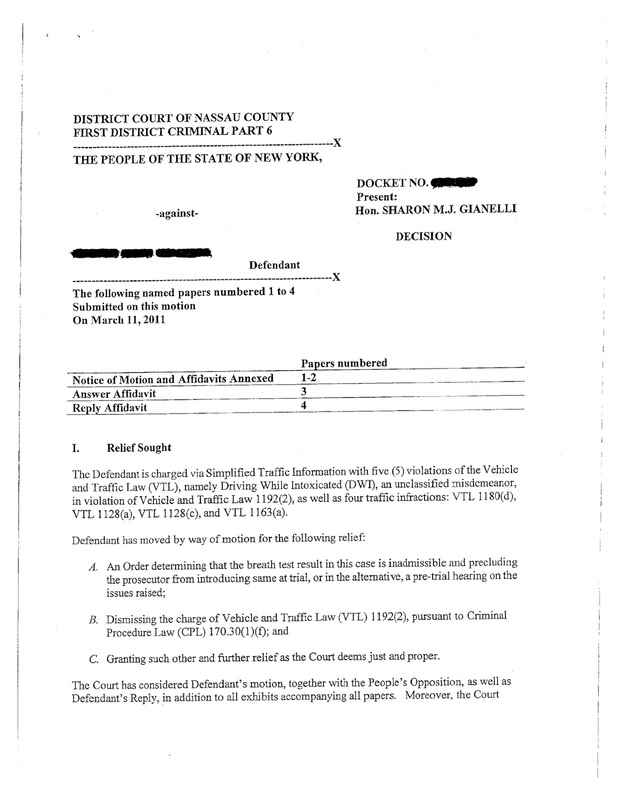 Vehicle and Traffic Law Section 1192.2 2-b (Leandra’s Law) reads as follows: Aggravated driving while intoxicated. With a child. No person shall operate a motor vehicle in violation of subdivision two, three, four or four-a of this section while a child who is fifteen years of age or less is a passenger in such motor vehicle. Leandra’s Law was recently passed by the New York State legislature and went into effect on August 15, 2010. The purpose of Leandra’s Law is to elevate the crime of Driving While Intoxicated (DWI) from a misdemeanor offense to a felony offense when a child who is fifteen years of age or younger is a passenger in a motor vehicle being operated by an intoxicated driver. In light of these potentially serious consequences, it is important to retain the services of a qualified attorney to defend your case, even if you are a first time offender. The Law Office of David Galison P.C., will explore every defense to an allegation of DWI and will vigorously defend all charges against you. Just because you are alleged to have committed the offense of drunk driving (DWI) does not mean that you are guilty. People and equipment can make mistakes. At the Law Office of David Galison, P.C., we strive to ensure that your rights are protected. If you are charged with an alcohol related driving offense in Nassau, Suffolk or Queens County contact the Law Office of David Galison, P.C. at 516-242-4477 to schedule a FREE CONSULTATION to discuss your case. See the NYS Division of Criminal Justice Services Website for additional detailed information. • Insurance carriers can raise your premiums for years based upon the amount of points on your license. • Your license can be suspended or revoked if you receive more then 10 points on your drivers license within an 18 month period of time. Nassau, Suffolk and Queens counties are sure to start issuing traffic tickets for these cell phone driving violations, as part of a show of force in support of the new legislation. These enhanced efforts to ticket drivers who do not use hands free devices can be expected to last for the foreseeable future in hopes that it will create a deterrence effect. According to Newsday on February 16th, 2011 Suffolk County Sheriffs issued 19 cell phone tickets in the morning rush alone, while Nassau County Police issued 3 cell phone tickets as of the afternoon. Given the potential serious consequences outlined above it is extremely important to retain the services of a qualified attorney to defend your case. Traffic tickets can be dismissed if the police don’t prove every element of the offense alleged. At the law office of David Galison, P.C., we strive to ensure that your rights are protected, and we explore every possible defense available. If you are charged with any traffic violation, please call the law office of David Galison, P.C. at 516-242-4477 to setup a Free consultation to discuss your case. Law Office of David Galison, P.C. The office of David Galison, P.C., routinely defends drivers charged with the following traffic related offenses: speeding tickets, red light tickets, stop sign tickets, cell phone tickets, failure to signal tickets, failure to maintain lane tickets, driving on a suspended or revoked license, driving while intoxicated and driving while impaired. 2. Driving while intoxicated; per se. 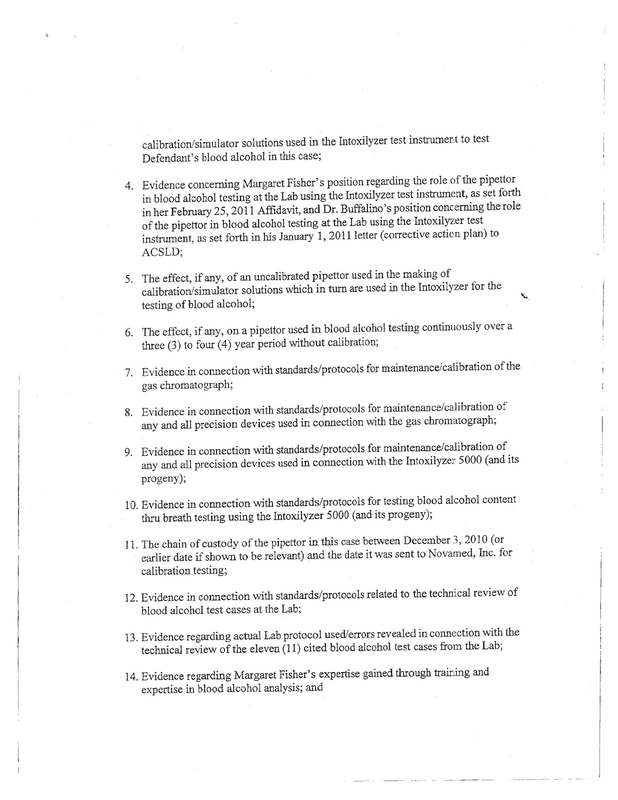 No person shall operate a motor vehicle while such person has .08 of one per centum or more by weight of alcohol in the person's blood as shown by chemical analysis of such person's blood, breath, urine or saliva, made pursuant to the provisions of section eleven hundred ninety-four of this article.